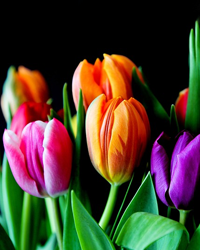 Joan M. Powers, age 81 passed away on April 15, 2019 at Crandall Medical Center. She was born March 7, 1938. She was survived by the love of her life and husband, Donald Powers. Per her request there will be no public services.